The island is just 22 miles away, but the chance to paddle around a few inches below the water’s surface, getting a tiny window into aquatic life, is added motivation to finally visit. 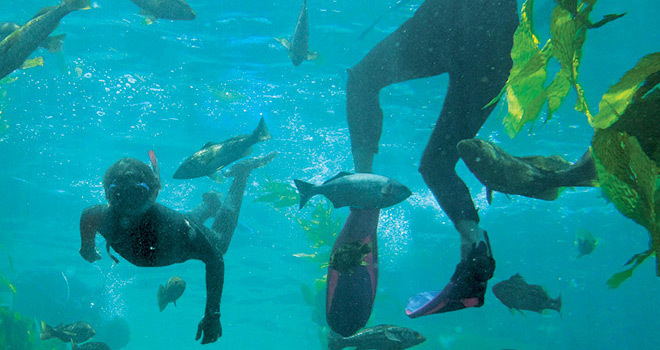 How to do it: Snorkeling is easy—even a child can do it—or so say the folks at Catalina Snorkel & Scuba, who offer 90-minute sessions for $45. Blue sharks are known to roam the area, but don’t fret: The ocean is safe, your instructor is fearless, and you only live once.